Your Blue Devils took on the Wilson Central Wildcats yesterday at Holder Family Fun Center in Gallatin. The Blue Devils once again rolled their way to another victory, taking the win from the Wildcats – 20 – 7. High Game Scores: Harvick Wiley (214), Ethan Smiley (213, 188), Jaleel Dowell (208, 192, 184), Caleb Gregory (180, 170), Jackson McRae (170). Congratulations to the Blue Devils. 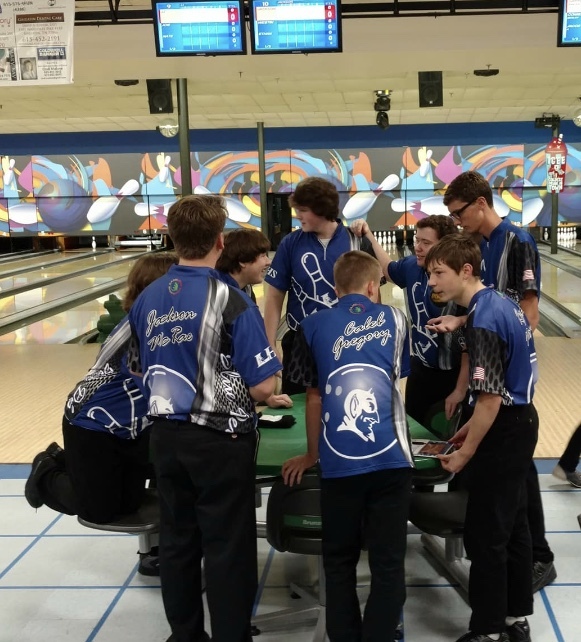 Come out and support your Blue Devils on their The next Bowling Match is Thursday, November 8th at 3:30 against Hendersonville High School.